WE PROVIDE QUALITY AT A REASONABLE PRICE! We are a Lombard plumber IL-based, a commercial & residential plumbing contractor. Committed to quality service and customer satisfaction, our dedicated team of professionals looks forward to assisting you as your plumber. No call service is too small or too tough for us to solve. 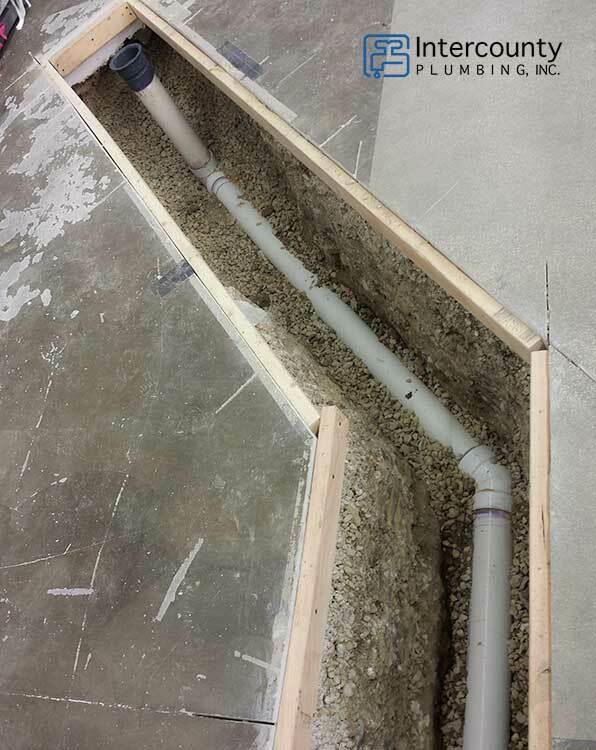 From collapsed drains to a custom bathroom or kitchen remodeling we cover all. Your local plumber by Intercounty Plumbing is a Service & Repair Experienced licensed to diagnose and solve all your plumbing and water issues. From clogged drains to clogged sewers, from the kitchen to bath’s plumbing, sinks, and faucets, burst pipes, new plumbing to remodeling and more. We are your Lombard plumbing contractors that you can count on it. Our office is located in Lombard but we service seven counties around Chicago metropolitan area but as a Lombard Plumber we are not afraid to drive a few extra miles to get our best services to you, from residential to commercial property management, from a small job to the biggest one. So next time when you ask yourself about “best plumber near me” you should know that we are here. Quality workmanship, our plumbers knows what quality is, informed with the latest best practice information in the Lombard plumber community. Our estimates will come as close as possible with the true, we hate surprises too. Most of our customers are repeat customers, having heard of us initially through neighborhood referral listings. As Lombard plumber we provide fast turnarounds so you can return to your normal routine as soon as possible. QUESTIONS ABOUT A PLUMBING ISSUE? ASK YOUR LOMBARD PLUMBER. We’re here to help answer your questions. There is no better time than now to get your plumbing system under control.We will make sure that you enjoy problem-free plumbing without having to worry about unexpected breakdowns or surprises. Our goal is the same like yours: to help you enjoy the comfort of your own home. You can rely on us to provide you with a pleasant, straightforward experience. We present everything to you upfront, including the pricing and the details of the job, so you will know what to expect. We do not want you to be surprised at the end. You already have enough on your plate; we won’t add to your stress. You can expect hassle-free service that is tailored to meet your needs while exceeding your expectations. With honest, upfront service you can be sure that you will receive the results you are looking for. We make our process as simple and pleasant as possible, allowing you to relax and enjoy the benefits. There are no hidden fees, pushy upselling, or other inconveniences to worry about. Our services are carried out according to the highest industry standards so you can enjoy true peace of mind in the comfort of your own home. The Intercounty Plumbing team gives full attention to the problem at hand. We are not content with just doing the minimum and driving off to the next job. We take the time to listen to your questions and concerns, making every effort to provide you with a top-notch experience. This level of personalized service means your problem will be handled as efficiently as possible. 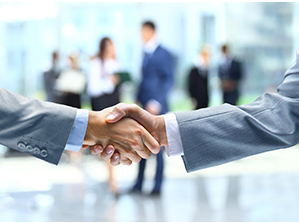 We will work closely with you to decide on the solution that best fits your needs and budget. You will be presented with options for repair or replacement, as well as a selection of high-efficiency products designed to provide you with lasting peace of mind. If you are not satisfied with any part of our service, we will do our best to fix the issue and make sure you are left with a smile on your face before we consider the job done. ONE CALL FOR YOUR REPAIRS SERVICES! Finding the right plumber in your area shou ld not have to be a chore. 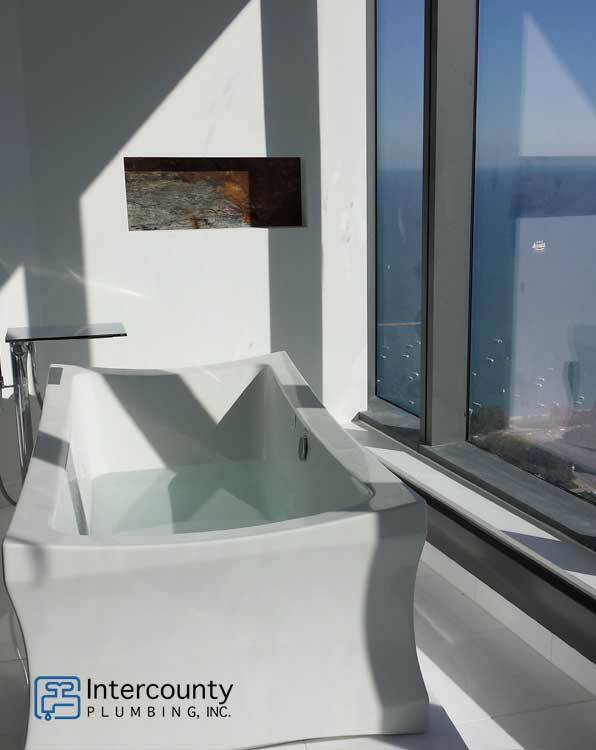 At Intercounty Plumbing we make the choice easy by providing our customers in Chicagoland and suburbs with an amazing experience. We don’t just claim to provide great service – we genuinely care about our customers and work with your best interests in mind. Convenient scheduling – We work around your schedule and set up appointment times that are best for you. Fast, prompt service – Don’t worry about late service or no-shows. You can count on us to arrive on time, ready to work. Problem solved in one trip – We provide fast turnarounds so you can return to your normal routine as soon as possible. Long-term peace of mind – We only carry out safe, proven solutions that comply with local codes and standards. This leaves you with the peace of mind you deserve. Burst, clogged pipes? If yes Call Service is available and our prices are the most competitive in the Lombard plumber. 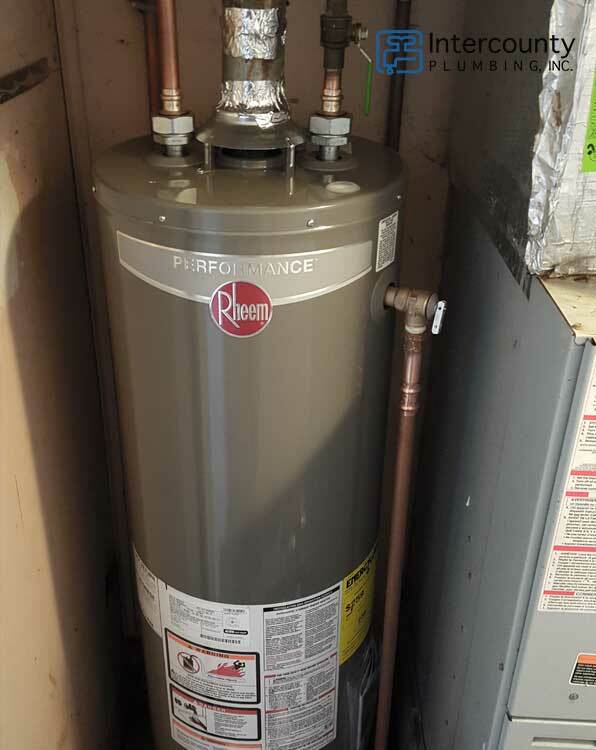 Based on the manufacturer’s suggested service life, the life expectancy of a water heater is about 8 to 12 years. If you think you are close, call your local plumber because we are certified installers. If you are looking to remodel your bathroom, consider a new plumbing will make sense to have a complete job. Call us for a free estimate. We understand that plumbing problems are often unexpected, so we are on call 24 hours, 7 days a week to assist in a wide range of plumbing emergencies.